Jan 24, 2015: In looking at Q Chronicles and Bridget Jones transmedia formats circa 2000 (Part 1), some of the early cross-platform concepts explore how to distribute narrative across multiple platforms as well as how to extend narrative. In Q Chronicles, we were expanding the story world by using TV interstitials to tell a parallel story – the murder mystery of Fox’s mother – via a series of flashbacks. The parallel story and the main (macro) story converge in the final episode of the series. 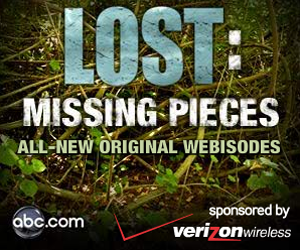 “Lost: Missing Pieces” is an example of using microstories to expand the story world of the hit TV series. Thirteen mobisodes, averaging two to three minutes, aired from November 7, 2007 to January 28, 2008. While Verizon wireless subscribers could view these microstories on their mobile phones, non-subscribers were able to view them later on ABC.com. Created to complement “Lost” scenes already broadcast on the small screen, the mobisodes filled in narrative gaps in the TV show. If you weren’t a die-hard fan and tracked the show’s labrynthine throughlines, you may not have understood the import of these mobisodes. However, “Lost: Missing Pieces” allowed for a deeper and more complex understanding of character motivations. Microstories (interstitials) are a flexible tool. 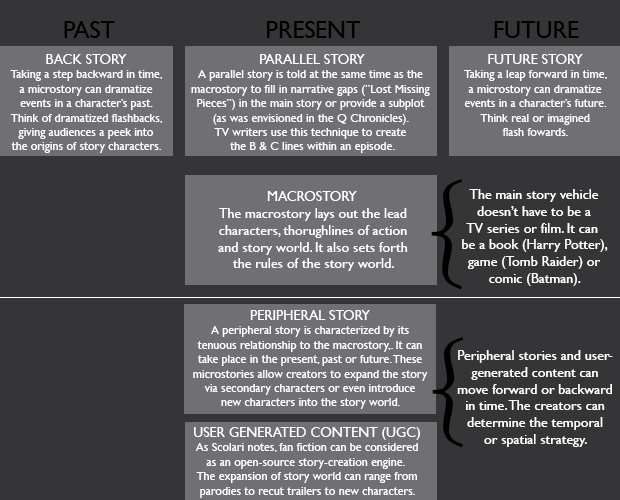 Media creators can use three different strategies – temporal (time-based), spatial (location-based) or character-based – or a combination thereof to extend a story world. Microstories can take place in the past, present or future. They can offer a platform for parallel or peripheral subplots. In comparison to a peripheral story – which has a weak relationship to the macrostory – a parallel throughline has a stronger relationship to the macrostory. Interstitials can be delivered via mobile devices or the Internet. These snack-sized chunks of programming are well-suited for a savvy digital culture. As shown in the diagram below, we’ve elaborated further on Scolari’s model. In 2008, Anthony Zuiker, creator of “CSI” signed a deal with Dutton to create a trilogy of digital (digi-) novels. His intention was to create an interactive and immersive crime story. In the 2009 (first) novel,Dark Origins, readers could access a special code every 20 pages. This code would point them to a cyber-bridge or five-minute high-quality video. The 20 cyberbridges captured scenes that were already in the book. This approach took readers out of the flow channel – that is, if they were sitting in a comfy chair, they were not inclined to break their attention and log into a website to watch a redundant video. 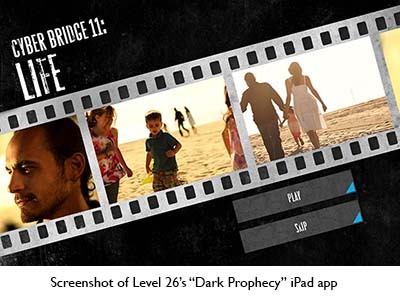 The 2011 novel, Dark Prophecy,evolved into an iPad app. In this version, 11 cyber-bridges presented a parallel story line and didn’t interfere with the book’s narrative. Instead, the motion picture extended the novel, providing a more in-depth peek into the main character, Steve Dark. Viewers could digest either the videos or the novel as a standalone experience. In addition, the iPad app contained numerous sound and text effects as well as an interactive component with tarot cards. To Internet vets, the Digi-Novel experience resembles that of CD-ROMs (1980s-90s) sans the physical disk. Regardless, Zuiker’s Digi-Novels were interesting and magical. The key take-away from this bold step into storytelling 2.0 is that the microstory has to extend the macrostory in a clever way. If the microstory repeats or impedes the macrostory, the transmedia strategy can backfire.